Adjustable seat height 17" to 21"
The Alvin Argentum Mesh Back Office Chair is an ergonomically designed office height chair ideal for a variety of use. 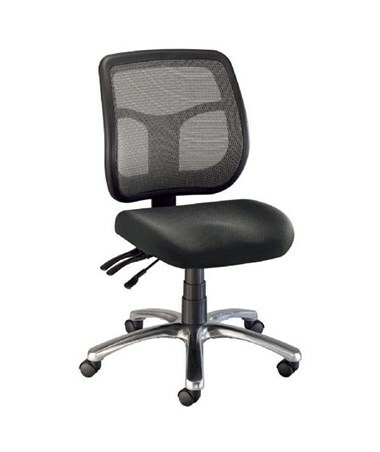 It features a contoured 19 ½"W x 19 ½"L backrest with tightly stretched silver mesh backing to provide excellent lumbar support. With its adjustable height and tilt, this backrest offers comfort while working. 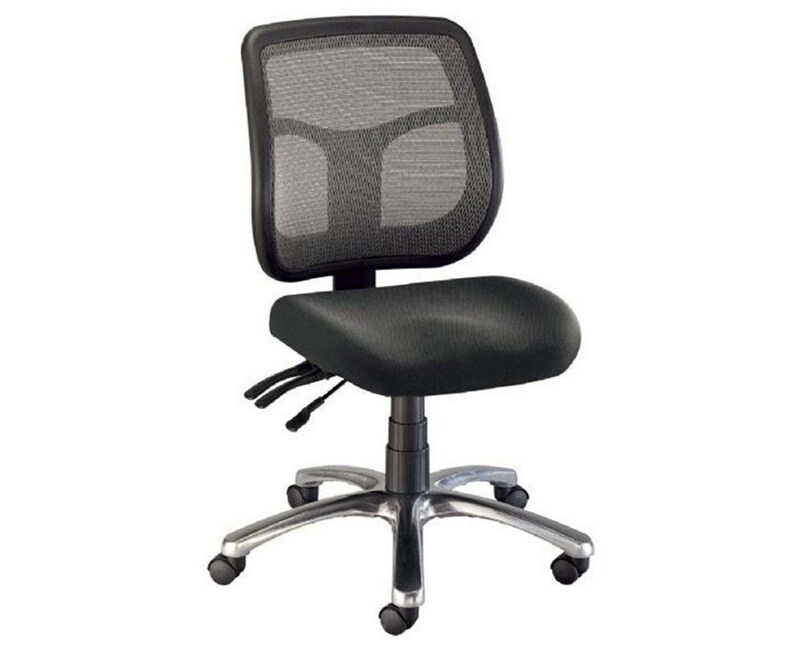 This mesh back office chair is equipped with pneumatic height control that allows seat height adjustment from 17 inches up to 21 inches. 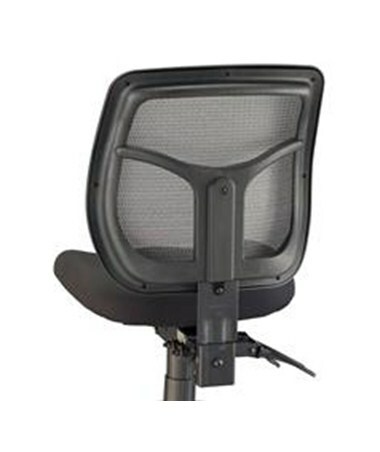 It comes with multiple controls for adjusting the backrest tilt independently or simultaneously with the seat tilt. Its 19 ½"W x 18"L seat cushion is three-inch thick making it an ideal chair for long hours of sitting. Made of durable molded foam, it ensures long-lasting service. The Alvin Argentum Mesh Back Office Chair has a sturdy and stable polished aluminum base that is 26 inches in diameter. It includes five dual-wheel casters that guarantee easy and smooth sliding for total mobility. With its black fabric upholstery and contemporary look, this chair suits any office and drafting environment.